Ok. Here’s a confession. I was planning on using square ebony plugs at the junction of each rail and leg but… Because I used an indent detail, toward the bottom on most faces of each leg, I am not able to use an ebony plug toward the bottom rails of the case. The ebony plug would be inside the field of the indent detail. Therefore, I think it would look funny to have them at other junction locations. 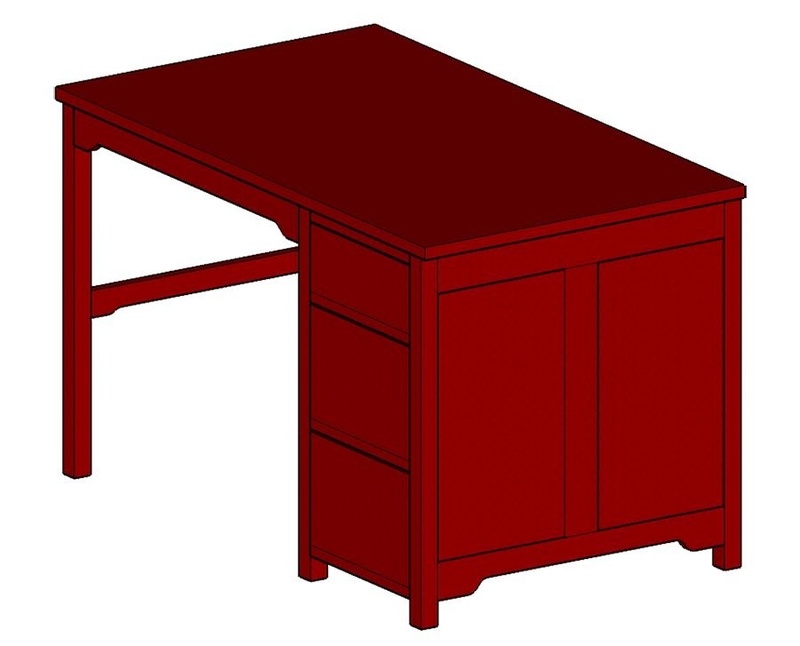 So, I am left with two options: 1) Use them on every junction (minus drawer dividers and indent locations) any way or 2) only use ebony accents on the drawer fronts and desk top only. So aside from physical woodworking mistakes it’s also possible to make, albeit in this case it’s minor in my opinion, design mistakes too. This entry was posted on Wednesday, August 20th, 2014 at 1:58 pm	and is filed under Progress. You can follow any responses to this entry through the RSS 2.0 feed. You can skip to the end and leave a response. Pinging is currently not allowed.